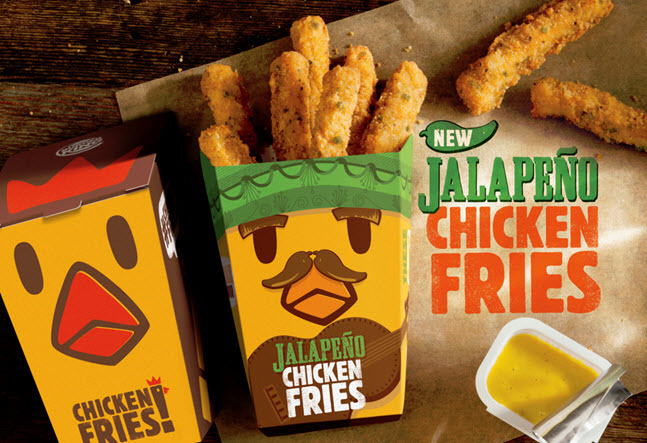 Burger King has introduced Jalapeno Chicken Fries, a spicy twist on its Chicken Fries. The new variety will be available for a limited time. The packaging for the fries features a chicken face with a moustache. Burger says it is also adding two shakes to its lineup. They include the Dr. Pepper Shake and the Oreo Irish Mint Shake. They will cost $2.69 each and are also available for a limited time.